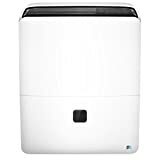 Perfect Aire - 3PAD95 : Dehumidifier Review • The Air Geeks, reviews of air conditioners, dehumidifiers and air purifiers. Perfection… Is this from this word? Well, Perfect Aire sure makes good products. Are you looking for a humidity control system that will enable you to create a comfortable environment in your house? 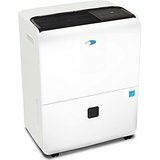 The 3PAD95 is a high capacity dehumidifier that is capable of drawing up to 95 pints of moisture from the air. This unit is suitable for large living rooms, bedrooms, offices, computer labs, server rooms, basements, and so on. It offers a variety of impressive features to enable you to control the relative humidity of your room with ease. They include adjustable humidistat, washable filter, auto shutoff, auto restart, automatic defrost control, and timer function to mention a few. If you have already identified the 3PAD95 as a suitable option and you are looking for reliable information about its performance and features, then we are glad to let you know that we have gathered all the details that you are looking for. We have thoroughly researched to provide you with details that will enable you to make a firm decision. Moreover, we have gone a step further to provide you with its strengths and weaknesses. Without wasting time, we will start with its description and then explore its strengths and weaknesses. The 3PAD95 is a strong humidity control system that is suitable for spaces that are as large as 6,000 square feet. This dehumidifier offers a high capacity of 95 pints per day. In addition, it is capable of capturing a variety of allergens before they reach your nostrils. If you are looking for a unit that will help to create a healthy environment in your home, then you need to consider this powerful unit. Are you tired of getting rid of mold and mildew from your home? This dehumidifier is designed to allow you to maintain the relative humidity of your room within your desired level. It allows the user to select a relative humidity level between 35% and 85%. In addition, this dehumidifier is environment-friendly and uses non- ozone depleting refrigerants. What happens in case there is a power outage? In case of a power outage, this dehumidifier saves its settings and the user does not need to reset it afresh when power is restored. To prevent build-up of frost when the temperatures are low, this unit features an automatic defrost control. You therefore don’t need to worry that frost will build-up inside your machine in seasons of extremely cold weather. The 3PAD95 stores the captured water in an easy-to-access bucket. It features a bucket-full indicator that enables you to know that the reservoir is full. To prevent water spillage, this unit features an auto shutoff function. You therefore don’t need to worry that the unit will flood your house in your absence. In high humidity areas, this dehumidifier can fill the reservoir a couple of times in a day. In such environments, it can be a cumbersome task to empty the tank manually. In case you don’t want to empty the tank manually, you can use a pipe to drain the condensate to an external sink under gravity. This alternative option prevents the system from shutting off every time the user is not around to empty the tank. Most home appliances that feature a fan and a compressor produce noise. In case you are planning to place this dehumidifier in your bedroom or any other quiet place, then you should consider the fact that it is not whisper quiet. If you are highly sensitive to noise, then you may need to consider another brand. Nevertheless, this dehumidifier does not produce irritating sounds. It is quieter than most units of same capacity. Easy to set up. We have noted that this is one of the easiest dehumidifiers to install. You can install it in less than 10 minutes. The installation process is well illustrated in the user guide. High efficiency. This unit consumes 730 Watts. Compared to other units of same dehumidification capacity, this unit consumes less power. Not rugged. This unit is not strongly built and it can break easily in case it is not handled with great care. Produces a loud sound. This unit can be a source of disturbances to people who are highly sensitive to noise. As such, it may not be a suitable choice for use in quiet places such as bedrooms and offices. I have a residence on the beach in California where the moisture causes rust, dampness, & mold. This "Perfect Aire Dehumidifier" in my home is doing wonders. Although I have only used it for a short time we notice a difference. The Odor from moisture is disappearing. You have to keep at least a 8 inch clearance all around it. Keep windows and doors shut when using it. This is also good if your Drying Herbs, Flowers etc. The Dehumidifier will keep older book collections from getting damp & moldy etc. It is a good size, 22/1/2" tall x15 1/2" wide and 10" deep, and even with the 8" clearance, doesn't take up a lot of room. The instruction book makes it clear how to use this. Its pretty simple to use once you get the hang of it. I would give this unit the highest of ratings. If I find this is not doing the job it has preformed for me for a long time, I will be back." We have another dehumidifier already in use, but thought perhaps our damp basement was a bit more than it could handle as we're emptying the bin twice a day. The Perfect Aire unit came and we set it up with high hopes, which are somewhat adjusted now that it's been in use for 24 hours. The unit itself feels flimsier, despite costing $100 more than our original one, and it wobbles when handled. It's also louder than our original one. The display panel is easy to understand, which is good. Set up with a hose for continual output, we were surprised when it didn't automatically start. It did, a few minutes later, but not because of anything that we did. All in all, it works, but I don't think it was worth the extra $100 they're charging." Does the Perfect Aire 3PAD95 meet the requirements that you are looking for? If you are looking for a high capacity unit that is suitable for large rooms, then this unit could be a suitable solution. Its low power requirement makes it a suitable choice for people who want to save money. If you are looking for a rugged system that can withstand harsh conditions, then this may not be a suitable dehumidifier for your needs. In case you are looking for a system that you can use in a quiet place, you may need to think about other brands. If none of these demerits is a big problem to you, then you can proceed and buy this strong dehumidifier. The Air Geeks recommend.